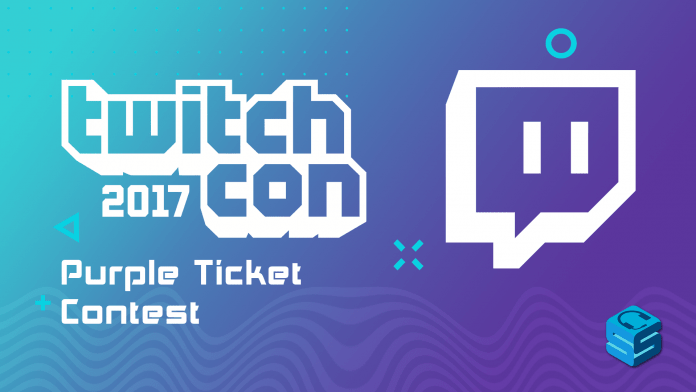 Win a Trip to TwitchCon 2017! Twitch returns once again with the #PurpleTicketContest! This is an opportunity to win a trip for two to this year’s TwitchCon which happens October 20-22nd in Long Beach, California. This is an all access pass prize which grants you and a friend access to the VIP party, top broadcaster meet/greets, tours, and more. Additionally, travel and accommodations will be included so an even bigger win for you! In order to enter all you have to do is make a 30-90 second Twitch clip or highlight on your channel telling Twitch your story. Share why you love Twitch and/or why Twitch should send you to TwitchCon. It’s that easy! This must be your video, created and filmed by you for this contest! No re-using cool movie clips, stunt footage or anything. Submissions must not exceed 90 seconds in length. Submissions must be cut as a Twitch highlight or clip. The title of the video must include “TwitchCon Purple Ticket”. The video can include other people, but only the person who submits the video will have the chance to win. The video should be in English (or subtitled in English) and the submitter must be over the age of 18 and reside in the United States. Your video must adhere to our Rules of Conduct and Terms of Service. After doing so, submit your clip via their Event Portal or by tweeting to @twitch using the #PurpleTicketConest hashtag. Sadly this is a US only contest as mentioned in their Rules and Regulations so make sure only enter if you’re a US citizen. They’ll be selecting the “…best, brightest, most exciting and heartfelt videos…” so make sure to really think about what you want to say and how to express it in your clip! For more information about the contest, make sure to check out the original Twitch post on their official blog.